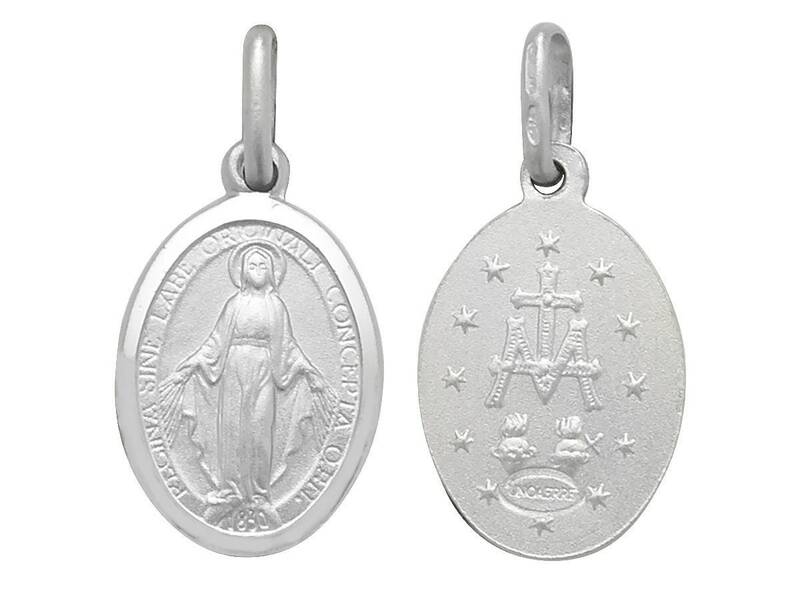 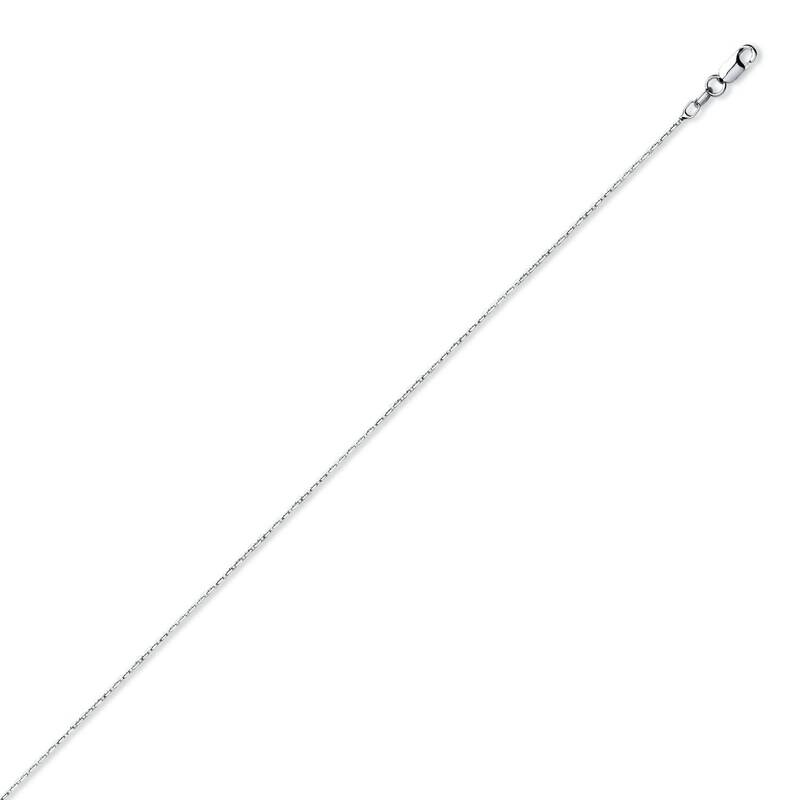 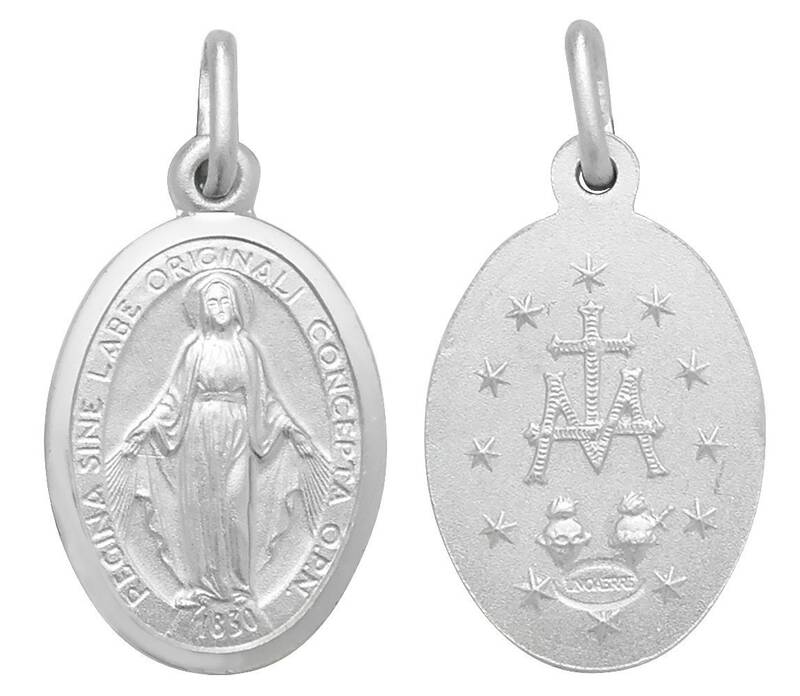 The medal represents the Miraculous Virgin, reference point of devotion, faith and prayer. 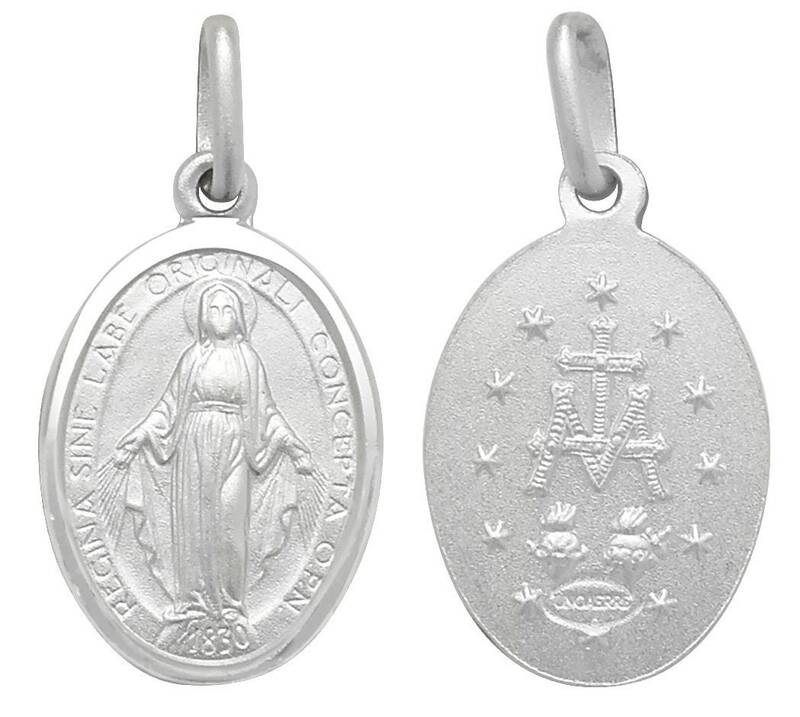 Emblem of grace to offer to the suffering and those who have no faith. 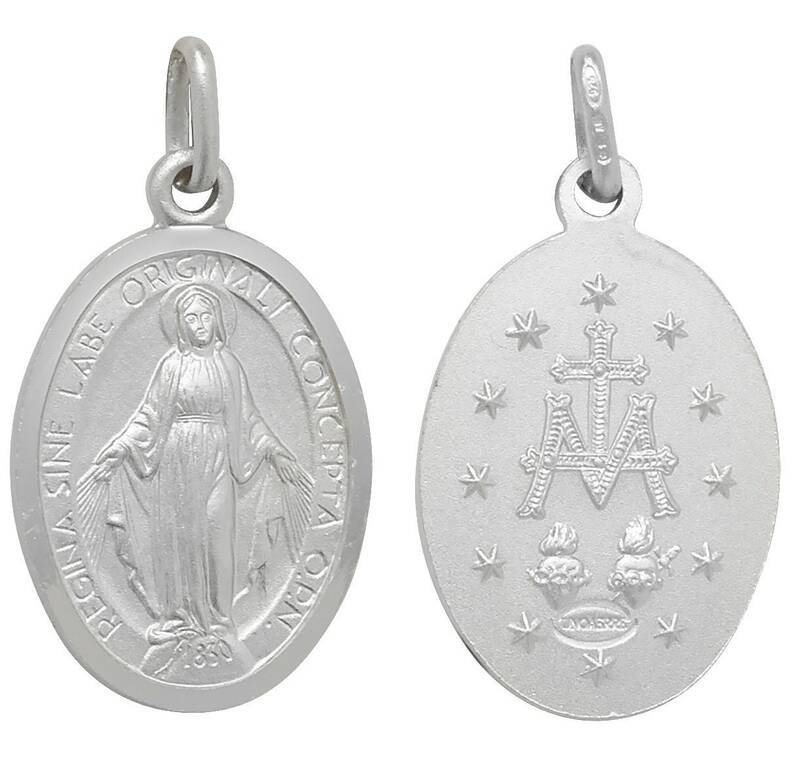 These sterling silver raised medallions make a very special piece of jewellery you will enjoy wearing.